Hello friends! 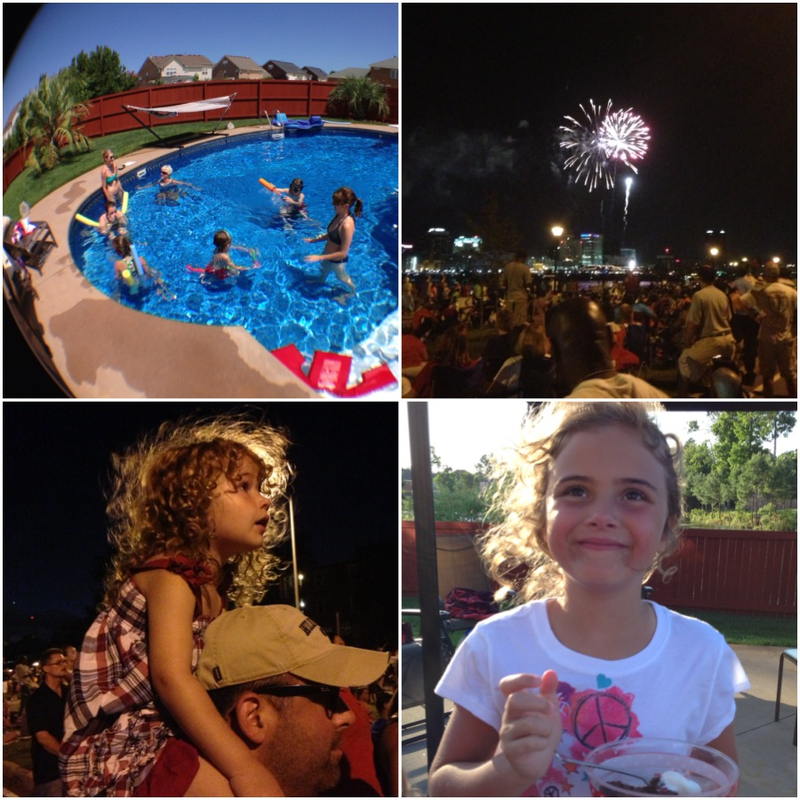 It is late and it has been a long, fun-filled 4th! We swam all day, ate with friends and family, headed to the fire works and came home for a second helping of dessert. It was a beautiful day and I enjoyed every minute of it. I thought I'd just post a quick recap and get the linky up before heading off to bed. I hope you all had a safe and wonderful 4th! Thanks for visiting and linking up! I can't wait to see your pics! I truly enjoy seeing what you have been up to and I am so grateful for your visits. Also linking up with The Long Road to China. P.S. I have been nominated by again this year for the Top 25 Photography Bloggers at Circle of Moms. If you have a minute to click, I would greatly appreciate your vote! You can vote once per day for the next couple of weeks. Last year I made it to the Top 5 and it was truly an honor. Nothing but rain here in GA. So happy to share in your 4th, Melissa! What beautiful moments captured - glad you had a nice time last night. It's always fun to see how the kids are enjoying it. The wonderment in their eyes is magical. We had a great day too, with homemade ice cream, family, and fireworks over the river! Beautiful Images from your 4th of Juy - I love the one of your daughter on your husband's shoulders! Little Things Thursday - Happy 4th of July!